It seems everyone’s getting in on the act. Batman, Hulk and Wolverine are all fathers now, though the two Bruce’s (Wayne and Banner) sons seem to be estranged from their pops. Wolverine may not be a great father, but at least he’s able to bond with his kid. Well, Daken isn’t a kid anymore, though he certainly resembles his dad. Daken is the son of Wolvie and his one-time wife, Itsu. As is traditional with superhero’s lovers, she died. Raised in Japan, Daken grew up, learnt who his father was and came to blame him for his mother’s death. 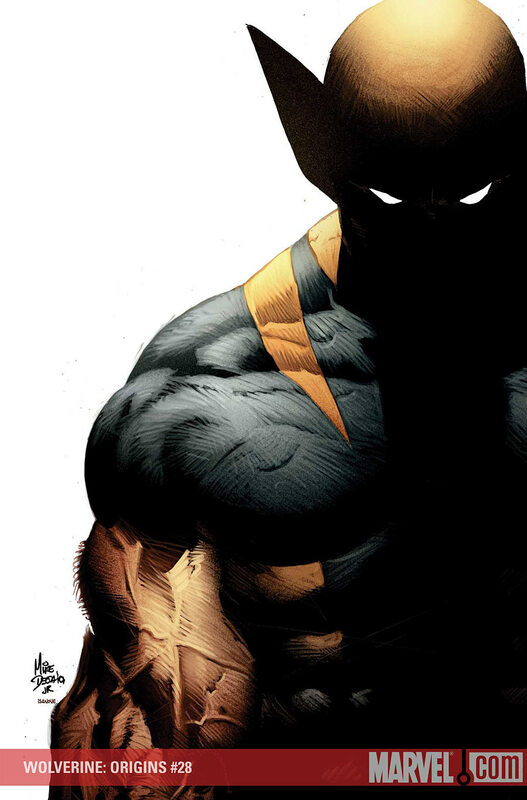 Thanks to the events of the last issue Wolverine now has the opportunity to start from scratch with his son, as Daken reawakens in a cave with amnesia. Wolverine is a character that I’m always sceptical of. Like Venom and The Punisher, he seemed to suffer from overuse at one point, with more series, one-shots and cross-overs than he deserved. That seems even more true now. However, Marvel aren’t stupid. They know that he’s the most popular X-Man, and they also know that when his solo film premieres next year, this similarly titled series will hopefully ride its coat tails to a greater audience. This is the first issue I’ve read of this series and it was a pleasant surprise. There’s enough action and cool moments here for long-time fans who’ve followed James Howlett’s illustrious career, or for those who just like him simply because of his bad attitude and cool costume. 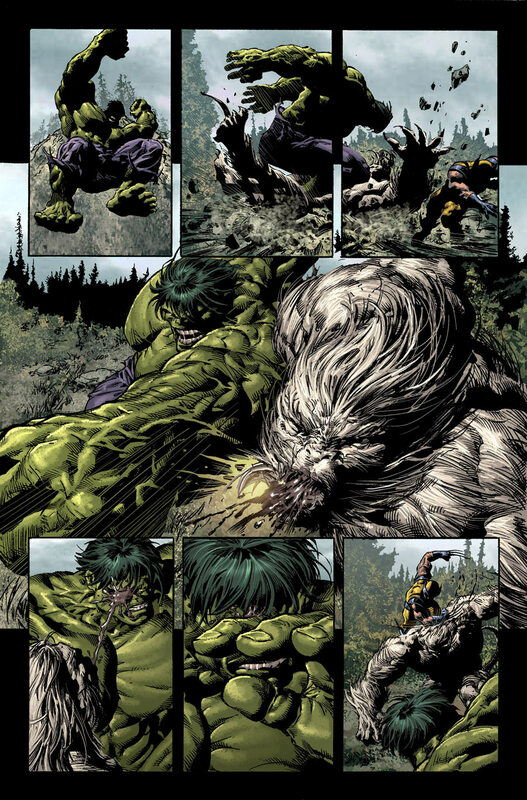 Primarily the story consists of flashbacks, including his final battle with Sabretooth, his brutal days in Canada’s Department H, and a lengthy look back at the Incredible Hulk # 180 fight with Jade Jaws himself, and Wendigo. Fans know this to be Wolvie’s first appearance although his costume is slightly different here, ie, no whiskers. His first meeting with Professor X is also an unexpected one, which is to be continued in X-Men: Original Sin #1. Daniel Way has a firm understanding of the character and doesn’t rely on what others have done by making the clawed one almost a caricature. 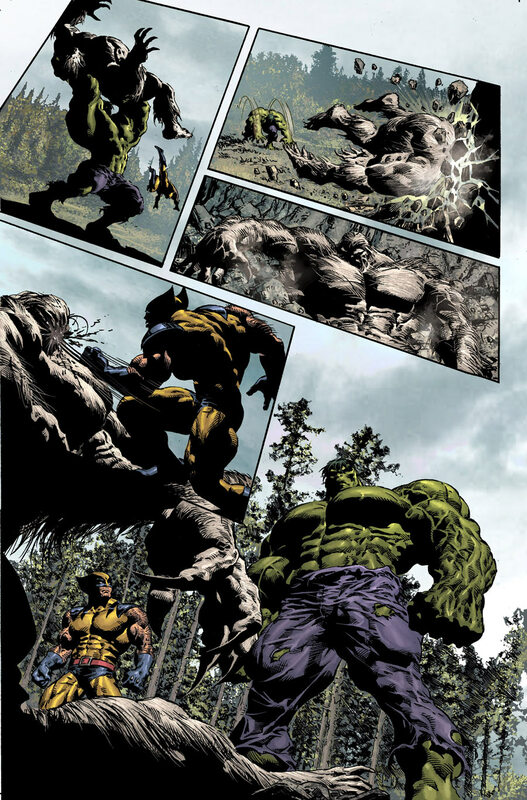 Way brings out Wolverine’s physical weakness, especially when fighting Hulk, and his emotional ones, all helped by suitably foreboding art. I haven’t looked at Mike Deodato’s interior work in a long time, but I was a fan of his glory days in the 1990s when he helped introduced Artemis in the pages of Wonder Woman. His pages were impressive then. They’re very impressive now. With a greater sense of realism than I’ve ever seen him use and a dynamism in page design, his figures are natural and moody, helped in no small part by him inking his own pencils. The Canadian mutant’s fight with Hulk is a thing of raw power. It’s the only time I’ve ever felt sorry for Wolvie. Bordering on the need for a mature readers warning, there is plenty of vicious brawling in this issue, which makes sense considering this is effectively a series of lengthy flashbacks to Wolverine’s killing days prior to him joining the X-Men, and is a period in his life which hopefully still has some room left for further exploration. As for Daken, well, hopefully he’ll become more than a novelty in Way’s hands and with Deodato along this book just may entice more ex-X-lovers to return to the fold. Thanks for the great post about this issue. I have linked your blog and this post on my blog. I only became recently aware of your blog, but I like what I have seen written by you here so far and find that your point about Wolverine in general is something I agree with. I not only feel that Wolverine is overused by Marvel, but so are the X-Men, Avengers and Spiderman, along with Batman & Superman over at DC. And while this is not a new phenomenon at either company, the practice is certainly watering down the aforementioned characters to the point of almost being a joke. Lets hope that both companies wake up sometime in our lifetimes and realize the mistakes their actions bring to the relevance of their creations, and to our enjoyment. Yeah, he’s not bad for a short fella is he?